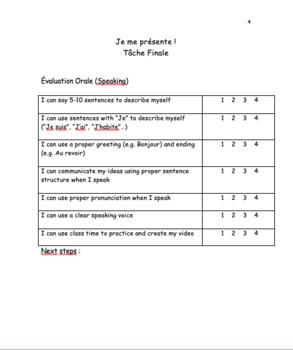 I like to use this speaking task as the final project to my Je Me Présente Unit. Included in this file are 3 versions of the task (for varying grades), 3 accommodated versions of the task (for varying grades/student levels) and rubrics for each version. 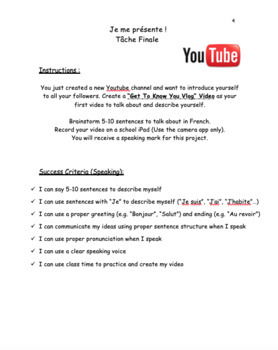 This task can be recorded on a device or presented during class. My students absolutely LOVE this project!